That I miss the command again. That, I clamp you with the worst of them. And the call gets drowned in the noise. Only to miss me on a maxi ride. 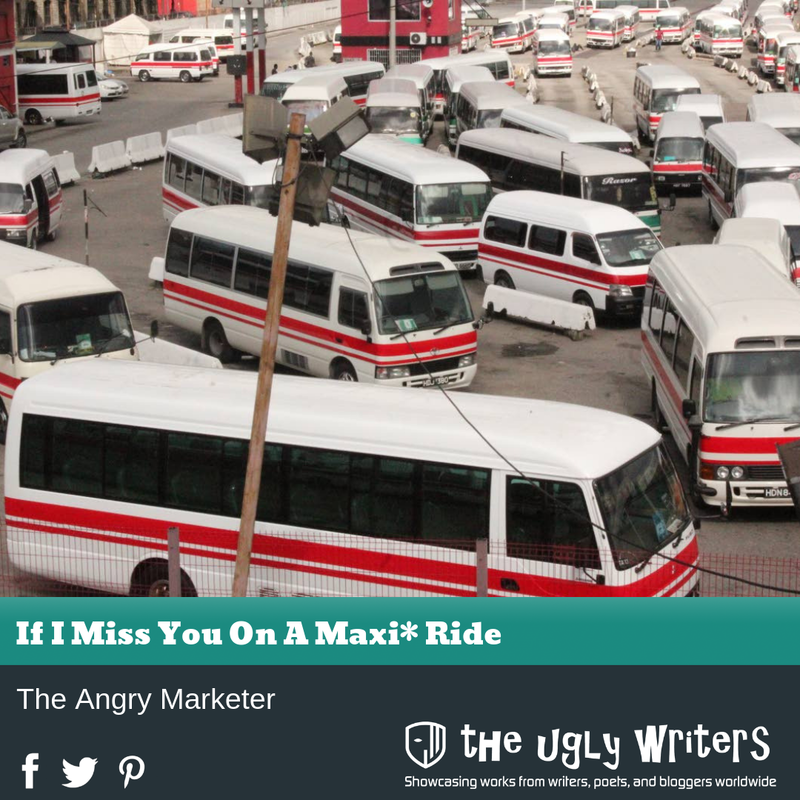 *Author’s Note: Maxi – A really short bus. One of the main modes of transportation in Trinidad and Tobago.